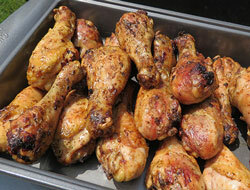 Yummy buttery chicken legs grilled until moist and tender with a crispy browned surface. So simple but it allows the original chicken taste to come through with a touch of buttery flavor. Great way to use leftover chicken. You can serve these as a meal or as an appetizer. Use your imagination with the filling. 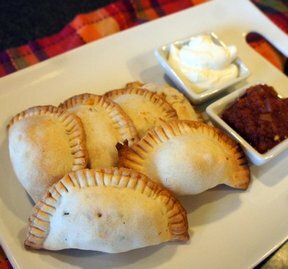 You could assemble the empanadas and freeze before baking to have them ready to go for a quick meal later. 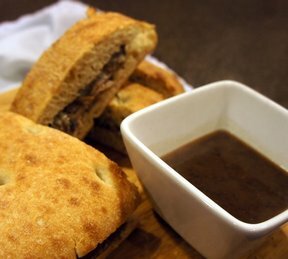 Using deli roast beef and condensed soup, you can make yourself a restaurant style sandwich in no time. It is delicious and comforting. This lettuce salad is fit for entertaining. 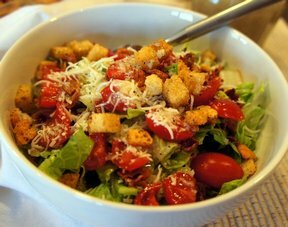 The dressing is delicious and simple to make. 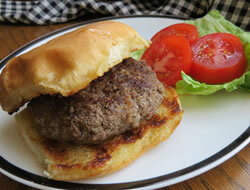 This makes a great light dinner served with garlic bread. 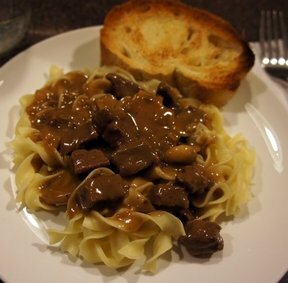 This comforting stroganoff is full of slow cooked flavor without all the fuss. 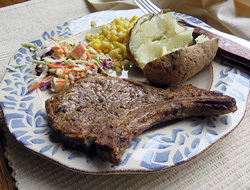 You can enjoy this on a Sunday evening with some garlic bread and a side salad. This marinade is great on just about anything. From Steak, chicken, pork, fish, shrimp, hamburgers, or vegetables. Perfect when cooking on the grill.